Sarah's Stamp Lab: Online Extravaganza Starts Today! Online Extravaganza only happens once a year so be sure to make the most of it. 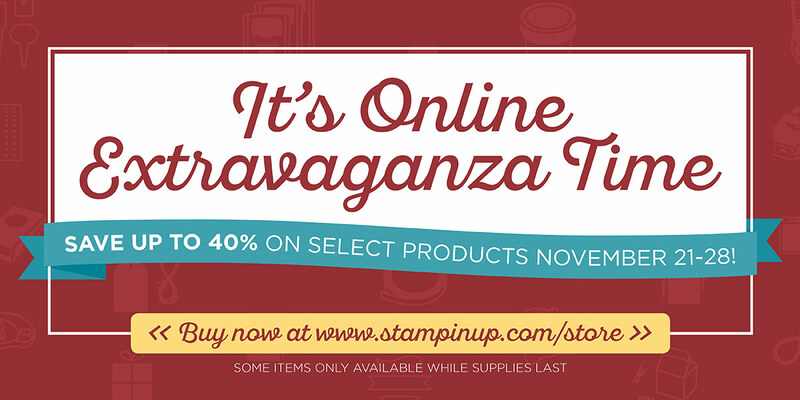 For one week only, November 21-28, you can save up to 40% on select products. To sweeten the deals, there will be 24-hour sales on the first and last day of the promotion, featuring special products available for that day only. You can even get a sneak peek AND save on products that will be on the future holiday catalog retiring list. You won’t want to miss out on this great opportunity to stock up and save! Be sure to check out all of the awesome bundles on today's FLASH SALE!! !